Collins Booksellers - Conducting Practitioner Research in Physical Education and Youth Sport by Ashley Casey, Tim Fletcher, Lee Schaefer & others, 9781317485476. Buy this book online. There is now a widespread expectation that teachers and coaches should be reflective practitioners, an expectation written into national standards of education in many countries. This innovative book introduces the methods by which teachers and coaches can conduct research into their own professional practice and therefore become more effective reflective practitioners, improving their students’ learning as a result. 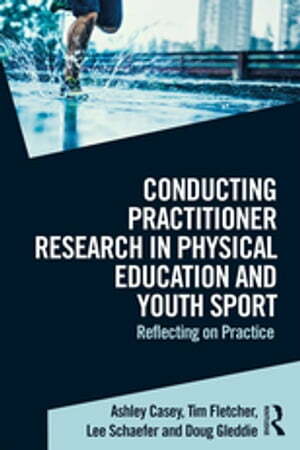 As the only book on practitioner research that focuses specifically on the unique challenges of working in a physical education or youth sport environment, it uses real-life case studies and applied practical examples to guide the reader through the research process step-by-step. Examining the what, why and how of four key research methods in particular – action research, narrative enquiry, autoethnography and self-study – it provides an expert analysis of the strengths and limitations of each method and demonstrates how conducting reflective research can produce tangible results in improving both teaching and learning. This is an invaluable resource for all those interested in enhancing their professional development as students, practitioners or researchers of physical education and youth sport.